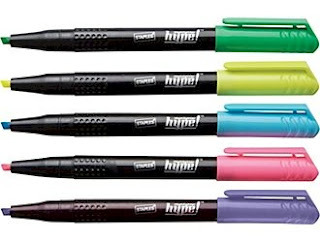 These office supply items are 99-cents at Staples.com when you add them to your cart via the "Order by Item #" feature here. If you click on the items and add them to your cart, they will show up at the regular price. 99-cent prices are not valid in-store. Good until 2/7/11. When you click through this Shop at Home link through 1/2/11, you will get a whopping 6% cash back. After 1/2/11, click through the regular Shop at Home link, to get the usual 2.5% cash back. Update: you can also get this $5.99 3-pack of Kleenex 2-ply tissues for half price, when you use the "Order by Item #" feature here and enter the item number 807699-CC. At a dollar a box, that's quite a bargain. Hat tip to Sompo1126 for the deal! This is a great deal for a number of reasons, but especially if you are planning a family trip out to Legoland in either Florida or California in your future. 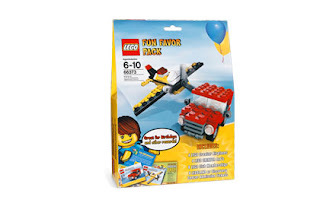 Get this LEGO Fun Favor Pack at Lego.com for half price. $9.98. Includes 4 Lego creator airplanes, 4 Lego creator 4x4 trucks, 8 Lego Club memberships and 8 Legoland or Legoland Discovery Center admission tickets (with paid adult admission). Shipping is $4.95. Cash back through the Shop at Home link is 3.5%, bringing your grand total for one set to $14.41. So not only do you get a creative set of party favors for around $1.80 each, you also get a BOGO free admission ticket to Legoland in either California or Florida, which normally costs $69 plus tax for adults, and $59 plus tax for kids. I checked with Lego customer service (800.835.4386) and these vouchers never expire. Eight of these vouchers have a value of anywhere between $472 to $552 not including the tax, and those ticket prices are only going to go up in the coming years. Even if you are planning on taking the kids to Legoland in three years, this is a great value now. Compare to the identical item on Amazon for $164. You must be a registered user at MyGofer.com to get this deal. Registration is free. Get 50% off any paper towels or bathroom tissue with code PAPER. Get 50% off any razor with code SHAVING. Get 50% off any pack of diapers with code DIAPERS. One coupon code per order so purchase paper towels/bath tissue, razors or diapers in separate orders. Choose free ship-to-store at MyGofer.com for next day pickup at your local Kmart or Sears. You can also use your Shop Your Way rewards if you link your Sears account when you register. To get your gift card, print off this rebate form and mail it with your receipt (showing the items circled) to CMS Rebate Center, Program #ALLYOU002, P.O. Box 426008, Del Rio, TX 78842-6008. Read the rules on the form carefully. 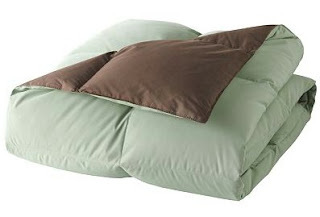 Home Classics® Reversible Down Comforter, available in 3 colors, on sale at Kohl's for $49.99. Use promo code TWENTY4U to get 20% off, bringing the price down to $39.99. Shipping is 99 cents. And make sure you click through the Shop at Home link first to get your 10% in cash back, which will bring your final price to $36.88. Pretty great price for a 100% down-filled twin comforter. It's cold out there. 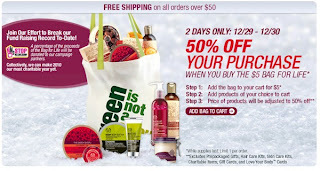 Wow, this offer is a little insane, but when you buy the Body Shop's "Bag for Life" for $5, you get 50% off your total purchase of other stuff. Free shipping over $50. Details are here. I guess they are competing with Bath & Body Works, who are currently having sales out the wazoo. And don't forget that you get a whopping 10% cash back when you click through the Shop at Home link first. So let's do the math. Buy the $5 bag, along with $90 worth of Body Shop stuff. That comes to $50, and then you get $5 in cash back. So for $95 worth of Body Shop items, you end up paying $45. Pretty sweet deal. 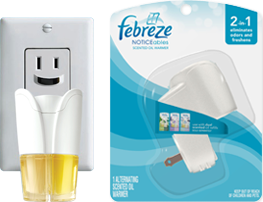 Get a free Febreze Noticeables after mail-in rebate. Click here. 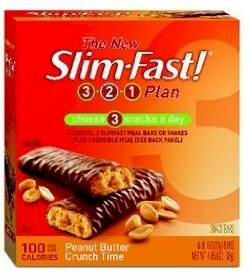 Get a free SlimFast "peanut butter crunch" bar from Sam's Club (no membership number required). Here. 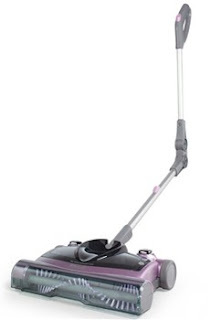 Shark VX3 floor & carpet sweeper (model V1950), "effective on every floor from vinyl to hardwood" for $24.95 shipped, today only, on Daily Steals. Compare to the identical item on Amazon for $53 plus shipping. The American Express card is running a 5% gas promo at Phillips 66, Conoco, 76, Exxon or Mobil stations. The 5% back is on top of your regular card rewards. Earn 5% back on every dollar you spend when you use your registered American Express Card to fill up at any Exxon or Mobil station from 12/20/10-1/20/11. Register here first. Earn 5% back on every dollar you spend when you use your registered American Express Card to fill up at any Phillips 66, Conoco, or 76 station, until 3/26/11. Register here first. Hat tip to one of my favorites, MyMoneyBlog. I love white gold and diamond hoops; they are fashionable, classy and go with almost anything; I've been hankering after a pair for a long time. 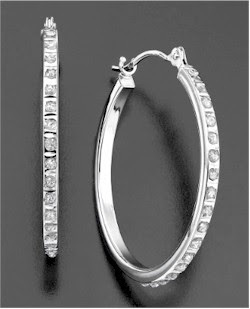 These beautiful 14k white gold diamond accent hoop earrings are on sale for $99 at Macy's. Use promo code HOLIDAY (good until 12/29) and get 15% off plus free shipping, bringing the price down to $84.15. If you click through Shop at Home's special Post-Holiday Sale page, you will get 10% (usually 5%) cash back on Macy's purchases, bringing the price down to a grand total of $75.74. That, my friends, is a heckuva deal. 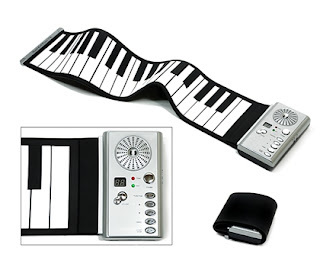 Check out the identical item on (sold by Macy's on) Amazon for $179 + $18.95 shipping. Doing the math, the Amazon price is 262% of ours. It always pays to be a Cheapskate. 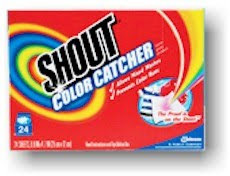 Get a free sample of Shout color catcher (which really works, btw) and a $1 coupon when you like them on Facebook, here. Shop at Home is having a post-holiday cash back sale with high percentages of cash back from major retailers. Especially interesting to me is 10% cash back on purchases from Home Depot, Macy's, Sears, DSW, KMart, Victoria's Secret, JCPenney, Old Navy, Kohl's, Sephora and Walgreens and 15% cash back on purchases from Ice.com. Remember, you must click from the links on this page to get the extra cash back. If you have been thinking about buying some major appliances for your home, now is a great time to do your research and buy, with 10% cash back from Home Depot and Sears, two great places to buy appliances. Many of you female Cheapskates are probably familiar with the Aerie A-List program, where you walked into any Aerie store (sadly, none in Denver) on one Thursday a month and received a free item, usually a perfume spray, lingerie, lotion or some other nice freebie. My bff and I usually made that Thursday night into "freeshopping mall night," where we would save up our free offers from the various mall chain stores and then walk from store to store cashing them in, so that we would each go home with quite a little stash of great free items. Well, Bath and Body Works is now running a giveaway program like Aerie! If you've bought anything at Bath and Body Works in the last few weeks, you'll get a "LuvBBW Club" membership card in the mail from them. Make sure you register the card here and then just walk in to a store one Thursday each month to receive your free gift, no purchase required. It looks like the program will be running from January through May 2011. And, just a reminder, if you want to take advantage of their great shopping deals on line, be sure and click through the Shop at Home link first, to get 4% cash back. EverydaySource is offering 40% off and free shipping on any of their Gift Guide items with no minimum. Use promo code MWOOTBX40. Get an additional 2.5% cash back when you shop first through the Shop at Home link. Here. 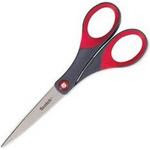 With this coupon, these scissors should be close to free. Click here for an in-store coupon for $10 off a $40 purchase and Bath & Body Works. Online, use promo code TENOFF40, and click through the Shop at Home link first, to get an additional 4% in cash back. 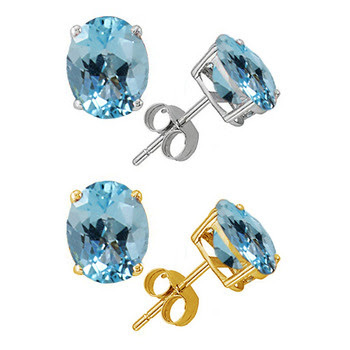 2 carat blue topaz stud earrings in sterling silver or 14K gold plated silver (note from Cheapskate: please get the silver ones....gold plated metal is terribly cheap looking), $7.99 shipped on Shadora. 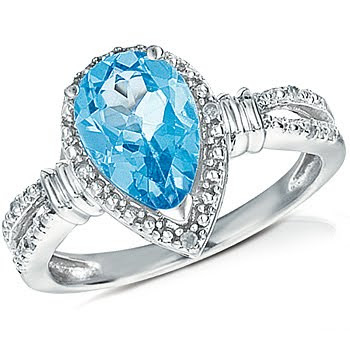 Get this sterling silver, pear-shaped blue topaz and diamond cocktail ring for $23.76 shipped. Go to the DiamondShark link on Shop at Home to make sure you get 1% cash back. Not a member of Shop at Home yet? Join here (it's free, safe and you get $5 cash to join). Then click on the DiamondShark link. 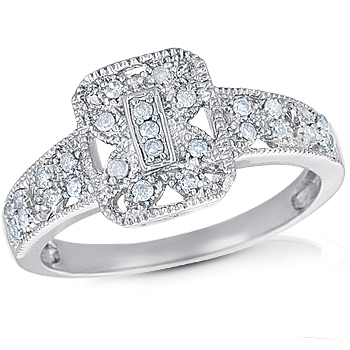 Once you click through to the DiamondShark page, click the Buy Now button and put the ring in your shopping cart. Use discount code SHARKHOLIDAYS to get $5 off the price of $29 and the shipping is free. With the 1% cash back you'll get from Shop at Home, your grand total on this ring, shipped, is $23.76. Today only. 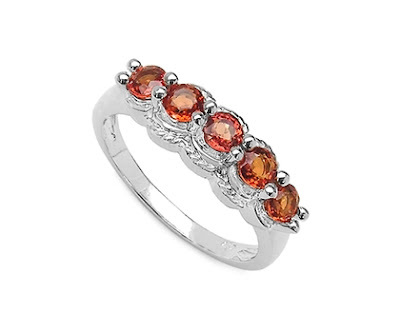 Sterling silver and .80 carat-weight orange sapphire ring for $14.98 shipped on Daily Steals. Today only. 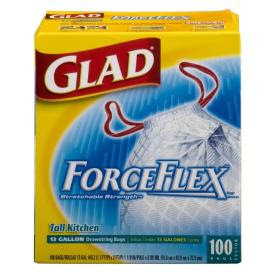 Get Glad 100-Count 13-Gallon Forceflex Trash Bags for $10.98 at Lowe's. This beats both Amazon's price ($17.35 + $5.25 shipping) and Costco's price ($13.99 for the regular, non-Forceflex bags). Choose free in-store pickup. Get an additional 6% back when you click first through Shop at Home, lowering the price to $10.32. Get 20% off sale items on Sephora.com with promo code EXTRA. Plus get three free samples with any purchase. And get an additional 9% cash back when you click first through Shop at Home. 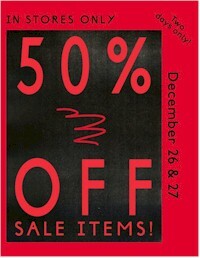 50% off sale items at Urban Outfitters, in-store only, 12/26-12/27/10. Click here to see your choice of $0.98 tool sets at Lowe's. Free ship-to-store. Get 6% cash back when you click first through the Shop at Home link. Use this promo code at checkout to get 10% off at Aldo Shoes: 261767545. Free shipping. 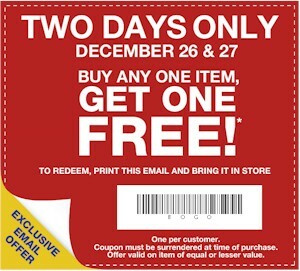 At Gap Outlet stores, 12/26-12/27/10 only, buy any one item, get one item free. Print out the coupon here. The store locator is here. Take $15 off your order of $15 (excluding tax or s&h) or more at Chadwicks.com with code CHTAKE15. Details here. Expires 12/27/10. Shipping starts at $6.99. As if that weren't enough, you can get 7% cash back on your entire purchase if you click through the Shop at Home link first. So, I'm getting this supercute dark denim skirt (pictured above) for $19.99 minus $15, plus $6.99 shipping = $11.98 minus $0.89 in 7% cash back for a grand total of $ 11.14. Not a bad deal, yes? Get a $5 mp3 credit on Rhapsody through this promotion on Facebook. Ends 12/31/10. Amazon is giving away $2 in free mp3 downloads with the code GIVEMP3S. No purchase required. See details here. Good until midnight 12/26/10. Limit one Amazon mp3 promotional credit per customer. Finally, you can also get a $5 Amazon video on demand credit with your Twitter account. Click here for details. Here's a great opportunity for last minute gifts: Shop at Home has is running an extra cashback event when you buy gift cards online at the following featured stores. These high percentage cashback rates are good until 12/25/10. Key pendants are all the rage this year. 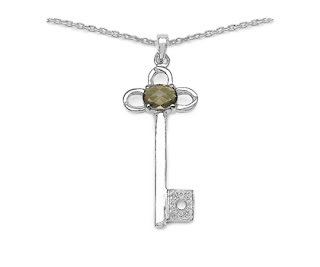 Get this sterling silver 1.14 ctw briolite and white topaz key pendant on Daily Steals today only for $14.99 shipped. 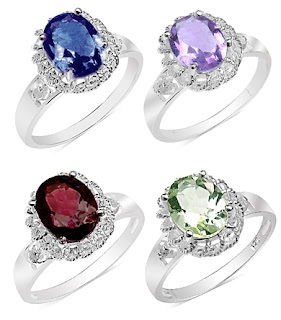 Today, on 1SaleaDay, get your choice of amethyst, garnet, or sapphire center gem (2 carat weight) with .015 carat diamond accents set in sterling silver for $9.99 shipped. Get 20% off your order at HomeDecorators.com with coupon code 1946506A. Get an additional 4% back if you click through the Shop at Home link first. 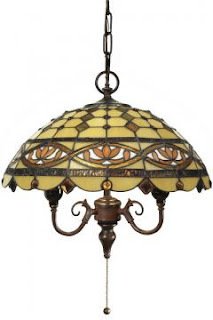 So, you can get this beautiful Tiffany-style pendant (pictured above), reduced from $169 to $118. The promo code takes $23.60 off, bringing the price down to $94.40. Shipping is free. The $3.78 in cash back brings the final cost of this pendant down to $90.62. Excellent deal. Homedecorators.com is easily one of my favorite decorating sources. 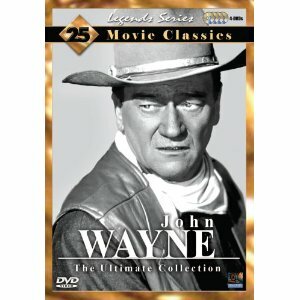 Get the John Wayne Ultimate Collection 25 Movies dvd for just $4.99 with free Prime shipping on Amazon. Plus you get $5 worth of eligible movies and TV shows from Amazon Video On Demand after you order your item, making this dvd basically free. You can get the same deal at Walmart (without the $5 credit) with free site-to-store shipping, and 3% cash back at Shop at Home. 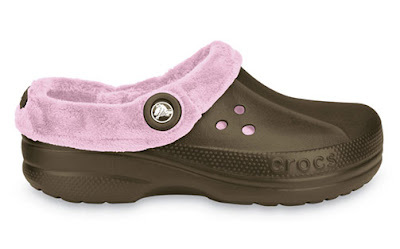 Crocs.com is having a Buy-One-Get-One half off sale. You can layer this with promo code FABULOUS10 to get an additional 10%. Free shipping. You can snag some fabulous deals with these two discounts, but act fast, because the popular sizes are selling out. Be sure and click through Shop at Home's link first to get 7.5% cash back. 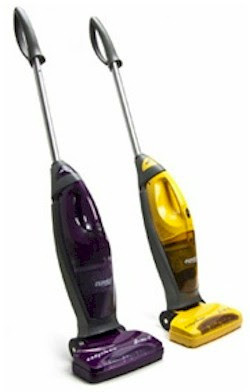 Get a Eureka Easy Clean stick/handheld 2-in-1 vacuum for $34.99 shipped, on Woot!. Compare to the same item on Amazon for $58.11. Get a free sample of Arm & Hammer Advance White by clicking here and filling out their form. 7" LCD TV + remote for $35 shipped, but hurry! 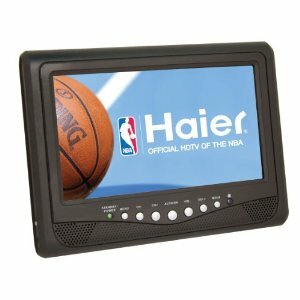 There's not a lot of time left on this deal, but hurry on over to 1SaleaDay.com to snag this Haier HLT71 7" Digital Portable LCD TV with ATSC/NTSC tuner and auto-channel programming for $29.99 + $5 shipping = $34.98. This deal ends tonight at midnight Eastern time. Compare to the same item on Amazon for $50+ shipping. This is an incredible deal on Nine West boots. They are having a huge sale with free shipping and discounts up to 70%. Remember that when it says "50% off," you will only see the discount once you add the boots to your shopping cart. And the discounts are quite substantial. AND, use promo code NWPOSTC for $20 off of orders over $75. AND, get 4% cash back when you click first through Shop at Home. I got this pair and this pair of and Guide and Gelly suede boots (pictured above) originally marked on sale respectively at $129.99 and $59.99 for 50% off, or $64.99 and $29.99 = $94.98. Then I got another $20 off with the promo code for a total of $74.98. 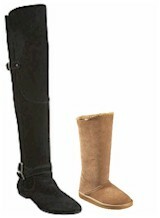 With $3 in cash back from Shop at Home, my grand total for these two higher-end pair of boots, my grand total was $71.98. Fantastic deal. Hurry, because popular sizes are going very quickly. Best deal on brand name toilet paper is on here on Amazon. 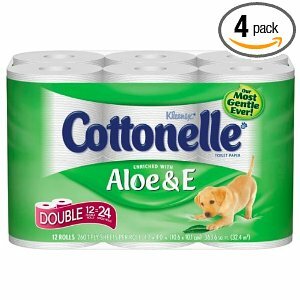 Get 4 double 12-roll packs of Cottonelle bath tissue with Aloe & E for $20.30, or 42 cents/roll Make sure you click on "Save an extra 15% with Subscribe & Save" to get the $20.30 price. You can unsubscribe from "Subscribe & Save" any time at all after you place your order. Free shipping. Compare this to the same item on Soap.com, $9.39 for just one of these...nearly twice the price. Beats Costco's price as well. Another great jewelry deal! 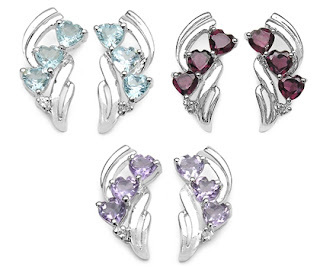 Get these .925 sterling silver 2.14 ctw heart shaped genuine gem earrings - your choice of garnet, brazilian amethyst, or blue topaz, for $8.99 plus $5 shipping = $14 total. Today only, on Daily Steals. Sorry, no Ebates or Shop at Home cash back on this website. 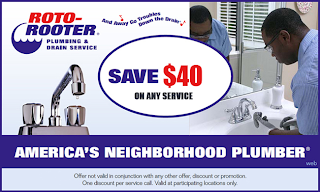 Here's an unusual but valuable coupon: $40 off one Roto Rooter service call. The coupon doesn't seem to have an expiration date, so this is one that I would print out and put in that drawer near the sink. You never know when the disposal will back up, the bathtub will clog, or the toilet will overflow. 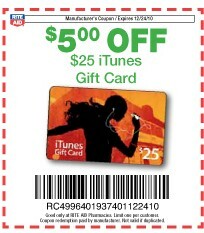 $5 off of $25 Itunes gift card at Rite Aid, in-store, with coupon from this circular (scroll down to the bottom, on the right side). Good until 12/24/10. Here. They will email you a coupon code and instructions on how to redeem. Get this elegant diamond and sterling silver ring for $33.66 shipped. Once you click through to the DiamondShark page, find the ring here, and click the Buy Now button and put the ring in your shopping cart. Use discount code SHARKHOLIDAYS to get $5 off the price of $39 and the shipping is free. With the 1% cash back you'll get from Shop at Home, your grand total on this ring, shipped, is $33.66. Fantastic deal on Ghirardelli.com for Shop at Home users only. 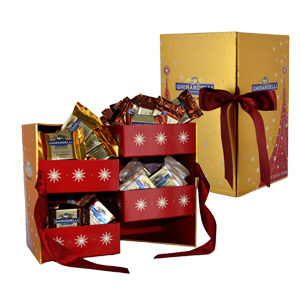 Click here to save 50% on the Caramel Celebration Gift Box at Ghirardelli Chocolate. Originally priced at $36.95, now reduced to $24.02, but when you click through this special link you will receive $5.00 cash back, bringing your net price down to $19.02. A luminous box bursting with 48 SQUARES™ chocolates in a variety of caramel flavors – Milk & Caramel, Dark & Caramel, and Limited Edition flavors Milk & Caramel Latte and Milk & Pumpkin Spice Caramel. 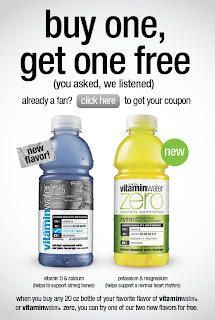 Get a BOGO coupon on Vitamin Water when you like them on Facebook. Get 20% off orders of $50 or more at Lillian Vernon with promo code 890860900. Good until 12/22/10. Click through the Shop at Home link first to get 8% cash back. $25 Restaurant.com gift cards for just $3 with promo code HOLIDAY. Get an additional 40% cash back when you click through the special Shop at Home gift card link here, bringing your total down to $1.80 for a $25 gift card. Keep kosher and live on the East Coast? FYI, there are eight great New York kosher restaurants that accept Restaurant.com gift cards: Orchidea, Back to Nature, Wolf & Lamb, Traditions, Eretz, Safa, Ben's Best Gourmet, and Mendy's. Make sure you read the restrictions and limits for each dining establishment. At ULTA Beauty, get 20% your purchase with promo code 42424 (good through 12/24/10) and pick out one of these nine deluxe samples, valued at $7, free with your $25 purchase. Of course, click through Shop at Home first to make sure you get your 8% cash back. 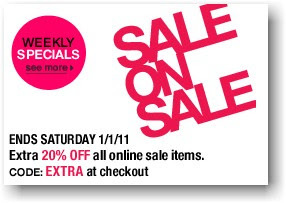 Prefer to get 20% off in-store? 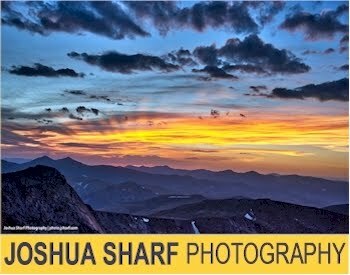 Print your 20% off coupon here. When shopping in-store, you can also get a free ultra-plush robe with your $30 fragrance purchase. Macys' In-Store One-Day Savings Pass is here. Other assorted printable Macy's coupons are here. Prefer to shop at Macys.com? Don't forget to click through Shop at Home first, to make sure you get your 5% cash back. At ShopWorldKitchen.com: get $15 off $60 or $30 off $100 with coupon code HOLIDAY (good until 12/25/10). 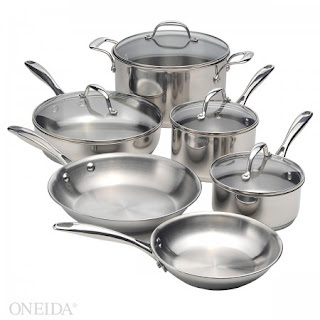 Fantastic deals on Pyrex and Corelle are on this website. Have you heard of Eversave yet? It's the latest in special deal "Groupon" type companies. Get $5 instantly credited to your account when you sign up (free) and get $12 when you refer a friend. Please click here to join for free and get your $5 credit. Make sure to change the city to the one that you live in. 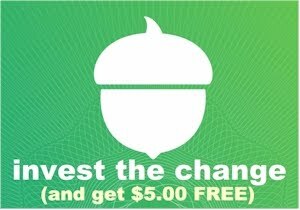 UPDATE, 12/21/10: Now you can get an additional $5 off your first Eversave buy, when you enter promo code FIRSTBUY, for a total of $10 instant credit. 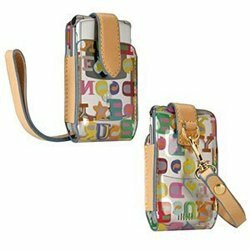 Dooney & Bourke, one of my FAVORITE handbag designers, has a great deal on Buy.com. Get this very cute cellphone case for only $6.49. But wait! There's more! Click through the Shop at Home link first and get 4% cash back, bringing your price down to $6.23. Free shipping. Compare to the one here on Amazon for $9 plus shipping or on eBay for $10. Get these beautiful diamond tuxedo earrings with genuine diamonds set in sterling silver, for $43.56 shipped from Diamond Shark. Description: Add some sparkle to your wardrobe with this awesome pair of Tuxedo Earrings! These fantastic earrings feature an exquisite combination of 50 round-cut, faceted, Genuine Black & White Diamonds weighing 1/4th of a Carat! 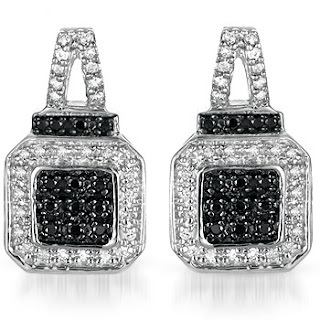 The Genuine White Diamonds (28 in total) surround the Genuine Black Diamonds (22 in total), and both grace the upper portion of the earrings as well! Furthermore, each Genuine Diamond is skillfully micro-prong set into solid, highly polished and Rhodium plated .925 Sterling Silver earring settings. Measuring 2/5" in width by 7/10" in height, these earrings fasten with the aid of friction posts and butterfly push-back closures, making them easy to put on and take off while providing all-day comfort and security. And, as always, our beautiful jewelry ships gift-ready in our elegant jewelry gift box! Once you click through to the DiamondShark page, click the Buy Now button and put the earrings in your shopping cart. Use discount code SHARKHOLIDAYS to get $5 off and the shipping is free. With the 1% cash back you'll get from Shop at Home, your grand total on these earrings, shipped, is $43.56. Save 10% on hotel bookings in the U.S. and abroad when you book through Expedia.com. Enter coupon code GIFT2011 at checkout (after you click the "Book It" button, there is a tiny link underneath the credit card advertisement that is labeled "I have a coupon." Then a section will unfold where you can enter the coupon.) 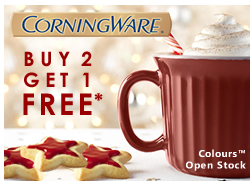 Offer ends 12/31/10. Travel by 3/31/11. Get an additional 1.5% back when you click first through the Shop at Home link. 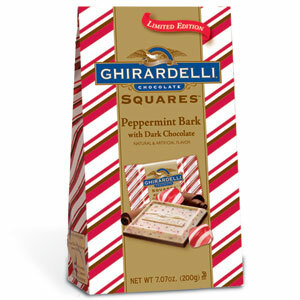 Get 20% off any purchase at Ghirardelli Chocolate with the exclusive coupon code SHOPATHOME good until 12/31/2010. Click through the Shop at Home link first to get an additional 8% in cash back.